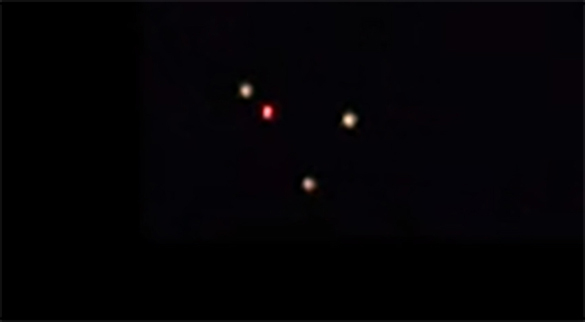 A Texas witness at Arlington reported watching and videotaping unidentified lights in a triangle formation that moved over his home, according to testimony in Case 54341. The witness reported multiple events and supplied video of an event that occurred at 10:22 p.m. on September 10, 2012. Texas MUFON Chief Investigator Gary Neitzel investigated and closed this case as an Unknown. The investigator could not identify the object.